Redbox already took down chain DVD rental outlets, and now Coinstar is expanding the popular DVD rental brand to the web with a movie streaming service. Netflix killer? Not likely, but the upcoming Redbox media service is reportedly with another company. Amazon is the popular choice, which will no doubt help boaster both content and credibility rather than going at it alone. That’s actually true for both companies as it’s been rumored for a while that Amazon had a movie streaming service in the works as well. The company’s CEO stated that the service would do be subscription-based rather pay-to-play like its DVD rental business. No doubt the pricing would be competitive with Netflix, but the key would be the content available and supported platforms. Three major movie studios already require both Redbox and Netflix to wait 28 days after the DVD hits the retail market. Disney also increased the cost of its DVDs to Redbox and consumers are increasingly moving away from DVD rental services. 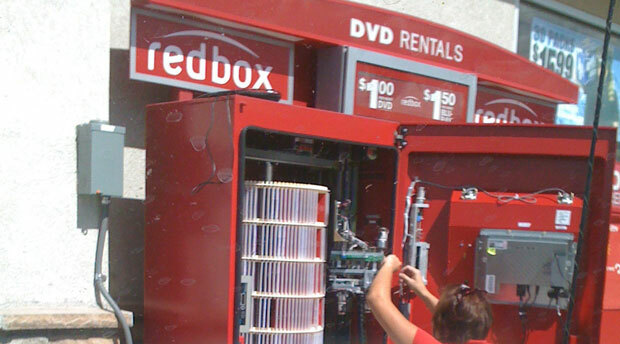 Redbox’s transition is a necessary step although it won’t be easy to compete with Netflix. Redbox’s next step should be what Netflix did the last two years and embrace as many hardware platforms as possible. Simply outing a streaming box like Blockbuster won’t cut it. Consumers do not want another box under their TV. Redbox needs to get on existing hardware like Netflix. That’s the keys to staying in the game.